You don't want to see yourself limping aimlessly in front of your friends, family, and colleague. You don't want to drag everyone behind when you are going to that family hike or camp. Well, that is what chronic hip pain does. It robs you the freedom of movement. It restricts your walking. But you want to be everywhere and anywhere. Before I give you the holistic approach to curing this remedy. Here are a couple of things that you may need to know about hip pain. Hips play an integral part in our body and when pain crouches this part of your body. The pain can be a disaster because it is something that can go on for 24 hours. It can be so severe that you will have to limp or so tender that it restrict your movement. If this continues for a long term, the pain may throw muscles into spasms. It may also extend outwards to other parts of the body like the buttocks, the pelvis, the thighs or the groin. 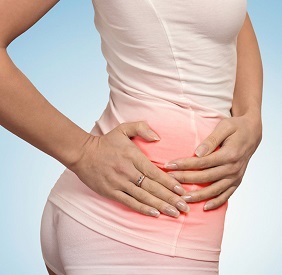 The most agonizing about hip pain is when the musculoskeletal system is affected. And when such a system is affected, you may need a trusted professional like Dr. Nektalov that can help you recover from this condition. You see, when this system has been affected the femur and pelvis usually brush on each other. When they do brush, that is when you have severe pain that can keep you bedridden. How A Trusted Chiropractor Like Dr.Nektalov Can Get You Running, Walking, And Sitting Without Pain. Through his vast experience chiropractic and handling hundreds of clients per year, Dr. Nektalov has what it takes to cure you of hip pain. Through his medical skills, he will get into the cause of the problem. He will identify the source of your pain, whether it is in the lower back, spinal disk or sciatica. From there, two problems usually present itself. It may be that the spine is the one that is causing this pain. Or it may be as a result as a soft-tissue. Only a real expert in chiropractic like Dr. Nektalov can tell you this for sure. When you visit us at Nektalov Family Healthy, we will give you all the attention that you need. Our goal at the end of the day is to get you running, walking and sitting without any pain. When you visit us, you will know how we insist on prevention. If you are the kind of person, that is always sitting the whole day. You will need time to get up and stretch. Stretching will relieve the tensed muscles in your hip. The other thing can be for you to get a good chair that can offer your premium hip support. Here are a couple of things that you may need to keep in mind so that you can prevent hip pain. You need to take regular exercise. 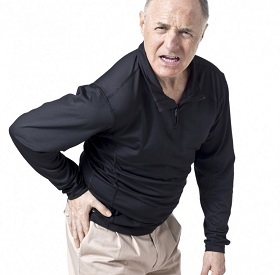 Exercise will relieve and rejuvenate the tired old muscles in the hip. You need to get a well-balanced diet. A good diet will give your hip energy. I believe this article has been a great eye opener for you and your family. For professional advice on this matter, you have a caring professional like Dr. Nektalov of Nektalov Family Healthy.